I grew up in Voorschoten, the Netherlands and spend most of my youth exploring the local patches of nature. My upbringing brought me into close contact with nature and lead to an ongoing interest in the natural world. My fascination with nature drove my parents to despair at first - I briefly had a collection of dead mice... - but took on more constructive forms later on. I quickly developed a passion for nature conservation, eventually doing traineeships with WWF in both Hungary and the Netherlands. After completing a BSc in Environmental Sciences and an MSc in Biology, I work as a conservation consultant for Dunea doing cool projects like setting up interactive visitor centre De Tapuit and establishing a brand new National Park. I am very fortunate to be working in my chosen profession, but having a desk job means the only wildlife I see during the day is my computer mouse :) To make up for this fact I thoroughly enjoy photography, besides being an avid traveller and scuba diver. Hence, what started out as a hobby evolved over time into a professional freelance career in photography. For as long as I can remember I have a profound fascination for that grande dame of planet Earth: biodiversity. Especially for everything that crawled, walked, ran, flee, swam, hopped and slithered. Life was on its best when I was catching frogs, observing animals or just roaming about (=’struinen’). What fascinates me still is not only the sheer diversity of life, but its myriad connections both with each other and their environment. In general I like pretty much everything (ticks and mosquitoes excluded…). In that I mirror very much the good old-fashioned naturalists from times long past (though with better hygiene), with a particular fondness for amphibians, mammals and insects. For me photography is almost a way of life. It is about sharing the experience, about being outdoors, seeing the world, to satisfy my neverending curiosity, and to gain new stories. Since photography takes place somewhere along the line... I occasionally experience a certain power struggle between enjoying the moment and looking through my viewfinder. I hope that combination enables me to share my wonder with nature with other people. Even though I prefer to take intimate shots of my subjects, my take on photography is an ongoing adventure. The more I delve into the world of photography, the more ways I discover of how to capture the world we all share. So... go out and enjoy that world! 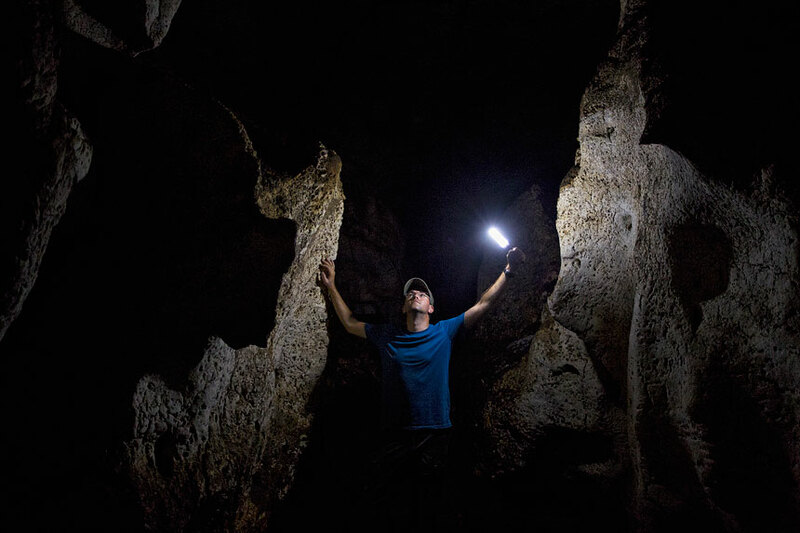 Self-portrait while exploring a cave system in Eastern Romania.